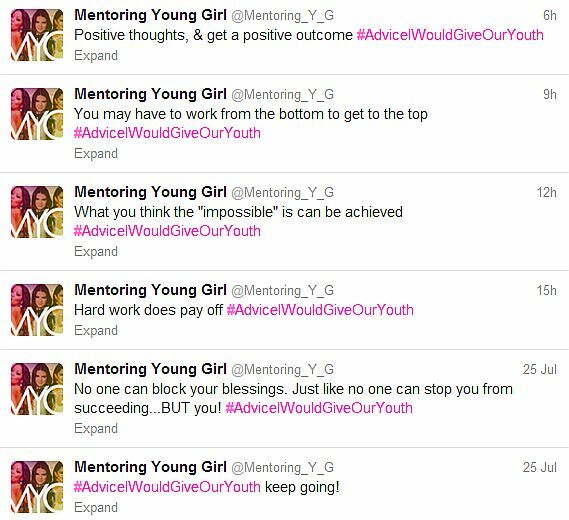 We’re basically sharing encouraging words & advice to the youth to keep them going. Let them know they can achieve anything they put their mind & time into. If you would like your tweets to be added to our blog posts, just the hashtag above. With so much talk about raising student loan interest rates or the rollercoaster economy, one can easily get discouraged from attending their dream college due to financial reasons. During my college search, I was one of those students who had a face to face meeting with discouragement but quickly made the decision to not let money stand in the way of my dreams. The Internet is seemingly the best tool anyone can use when researching scholarships. Use websites such as www.fastweb.com or www.scholarships.com. They provide a listing of scholarships for just about anything from being left-handed to being interested in saving a local animal shelter. These websites will ask you to fill out an online profile that will help match available scholarships with your interests. A lot of the scholarships you will encounter require you to write an essay and this is great practice to prepare you for your college papers. Give it your all! You never know who you are competing with, so make sure you put your best foot forward when writing your essay. Select about 2 or 3 people to proof read your essay to make sure your ideas are clear and concise. A lot of people do not realize that your current school, your parent’s jobs or possibly your job may offer scholarships. ASK! Even if the scholarship amount is as little as $100, every bit of money helps. Make sure you go over all requirements to verify your eligibility. There are a lot of corporations/organizations that have scholarship money available to those interested in their field. For example, if you are interested in studying Accounting, groups like the American Institute of Certified Public Accountants have scholarships available. Always research the scholarship options available by your college of choice. If you have the opportunity to attend an open house, they will often provide you with a brochure that lists their merit based scholarships and their separate application scholarships. Most of the time, the college will give you a merit-based scholarship depending on your academic or leadership achievements in high school. Make sure your resume lists all of your academic, leadership and community service achievements because this will put you in the running to receive more scholarship money. This is the MOST important rule when applying for scholarships. Make an active list of all the scholarships you will apply for with their deadline. Most people miss out on money because of late applications. These are just the basic tools that can help you find loads of scholarship money. There are thousands of scholarships out there waiting for you to apply! Make sure that you let your real self shine through in your scholarship applications. This will be the sure thing that sets you apart from everyone else!